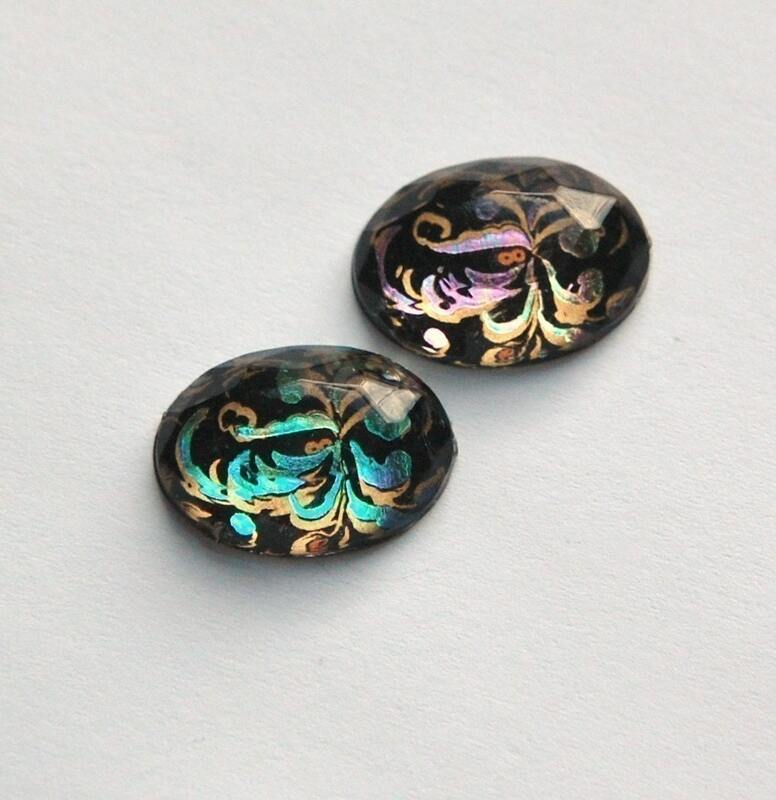 These are beautiful vintage cabochons. They were made in Japan. The paisley design is done in pinks, golds, and teal against a black background. The domed plastic top is faceted. This measures 18mm x 13mm. You will receive 2 of these. Ordered some of these before and liked them so much I had to order more! Happy! These are so pretty I'm going to have to buy some more! Beautiful cabochon! Just love the rich Teal color & Violet colors. Great customer service as well. Thanks a million! Excellent job on large order as usual!!! Thanks! !